Your back takes a beating every day – and deserves your care and attention. A strong back is a healthy back. Aesthetics aside, there are many small back muscles that support your spine and those that play a role in proper posture. You can work those at the same time as you are training the larger muscles with body weight exercises and/or isolate them with specific exercises that also involve your core, such as bird-dogs. While there are dozens of effective body weight exercises to work your upper, mid and lower back muscles, you don’t want to spend your whole workout concentrating on one area of the body. Workout smarter and harder, not necessarily longer, for best results. Bod y weight exercises give you opportunity to work multiple muscle groups at the same time. Work your upper back by squeezing your shoulder blades together during slow incline push ups, or the muscles that line your spine by doing alternating leg raises while performing a plank. Or alternate a standard plank with a superman. For the following body weight exercises, you’ll need access to a bar, railing or even the jungle-gym at your local park. Be creative. Today’s jungle-gyms have platforms of varying heights, for more flexibility with your exercise choices. Performing a standard pull up (all variations) is an excellent exercise, but very difficult for most women that at first (without assistance and/or a partner). What do you do if you are working out alone or do not have a band to off-set some of your body weight? Try a self-assisted pull-up or a body row (technically an inverted row) instead. The emphasis is on your posterior deltoids and latissimus dorsi (upper back). The greater the incli ne or the less assistance you allow yourself, the harder the body weight exercises will be. Being mid-July, picnic season is now in full swing. Picnics are cheap, fun and convenient venues for enjoying time outdoors with family and friends. Unfortunately, typical picnic food choices in the United States are, well, fattening and devoid of important nutrients, such as vitamins and minerals! 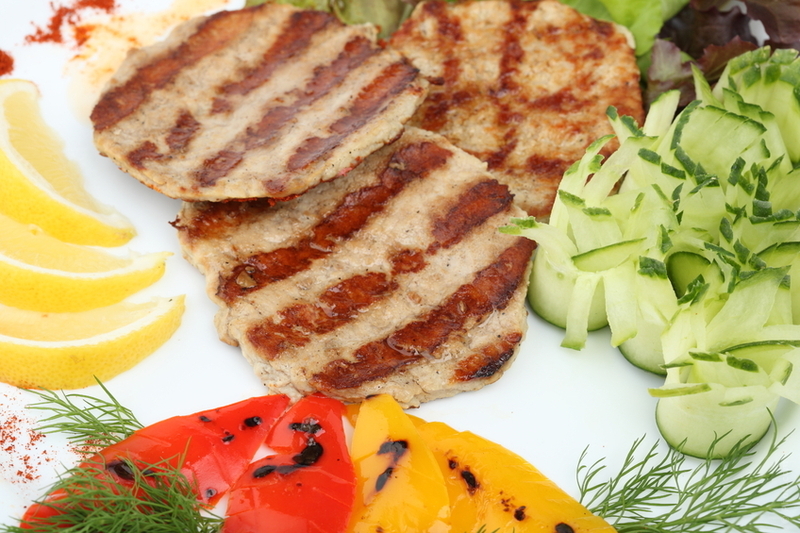 If you are not careful, you can down over 2,000 calories easily by loading your plate with common picnic food choices, such as a loaded hamburger (with cheese and a white bun), coleslaw, baked beans, potato salad, chips and dip, beverages and desserts, such as cookies. Even ketchup isn’t ‘free’ at 20 calories per tablespoon. While that might not seem like much, check this out: a 1-cup scoop of traditional potato salad, a true picnic food staple, can set you back nearly 400 calories! It doesn’t take long to fill up on poor picnic food choices. What’s worse is that during most picnics, you are sitting, which burns few calories. Making a few smart trade-offs and adding physical activity can literally save you hundreds of calories. Over time, trading in high-calorie foods with lower-calorie foods can help keep the pounds from piling on. Keep in mind that consuming an extra 100 calories each day (beyond what you need to maintain your weight) over a year can mean a 10 lb. gain. And many Americans consume picnic food fare throughout the summer. Trade-in that 1/4-pound hamburger on a white bun for a grilled 5-oz. chicken breast on a whole wheat roll for a savings of approximately 150 calories. An ear of sweet corn and a cup of fresh fruit provides about 210 calories. Salsa, with its chunky tomato-base, vegetables, and fresh herbs, offers a mere 5 calories per tbsp. Use it as a dip for raw vegetables and baked tortilla chips. Swap sugary beverages for low-cal lemonade, water or unsweetened iced te a. For dessert, fill your cooler with homemade Popsicles or fruit ice. Other diet-friendly picnic food choices include: hummus with pita wedges, three-bean salad, grilled veggies, fresh watermelon and toasted marshmallows. 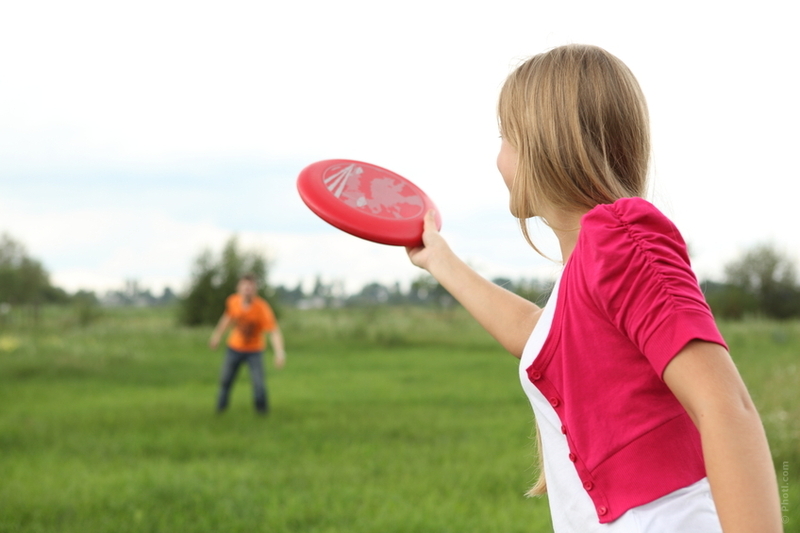 Play softball or throw around a Frisbee for exercise and fun and you’ll walk away having consumed fewer than 800 calories and expending, on average, 175 calories. Body weight exercises use your own weight as resistance instead of equipment that provides ‘external’ resistance, such as dumbbells. However, you can always add resistance to make these moves more challenging. In general, body weight exercises are effective, fun, require little to no fancy exercise equipment and can be tweaked to challenge beginner to advanced exercisers. You probably already are familiar with many classic body weight moves already: military-style push-ups, pull-ups, triceps dips, forward and backward lunges, squats, step ups and the like. However, there are endless variations to these standard exercises – probably more options than you can imagine. What do you need to know, or keep in mind when choosing which body weight exercises to include in your strength training routine? Consider ‘compound’ exercises, or those that work multiple muscle groups versus those that isolate specific muscles, unless you have a lot of time to devote to exercise. Choose moves that work all major muscle groups, if possible (eight to twelve exercises). Select moves that aid in stabilization (balance), strength (building muscle) and power (explosive movements such as jumps) for the ultimate challenge. Keep in mind that ‘power’ moves may be too advanced for novice exercisers. There are body weight exercises that are double-duty moves: they improve your balance AND enhance strength. Summertime is a great season to shake up your routine. Many body weight exercises for the upper, lower body and core can be done outdoors, allowing you to enjoy the weather and watch your kids while building a stronger body. If you have access to a playground, all the better. You need a platform, rack or bar to ‘pull’ towards and ‘push’ from. This is just an introduction to this series. In subsequent articles, you’ll learn unconventional, effective body weight exercises to add to your ‘library’ for different muscle groups. NOTE: before initiating any exercise routine (especially on your own), get clearance from your doctor. This is a general, informational series. All exercises are NOT appropriate for all individuals. If you have back problems/knee pain or injuries, you should seek personal, professional advice on designing an appropriate routine with your specific needs in mind!